Callum has always been obsessed with things that go: cars, airplanes, construction vehicles, and, especially, trains. He could seriously watch them all day long if we let him, and I am always amazed with how long he can play with a train table. So, when we found out Trainfest was happening this past weekend, we knew it was something we absolutely had to make time for. Trainfest, which happens at State Fair Park each year, is the largest operating model railroad show. 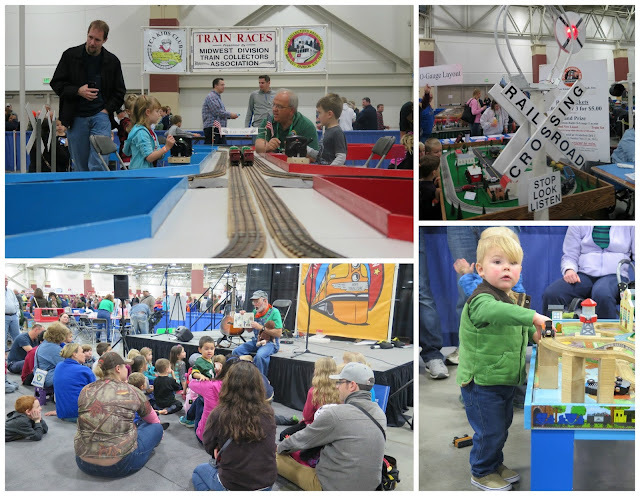 In addition to all the model railroads at Trainfest, there is also a huge kids' activity zone. When we walked in, Callum was completely mesmerized. He just wanted to stop and watch everything. So, that's what we did. 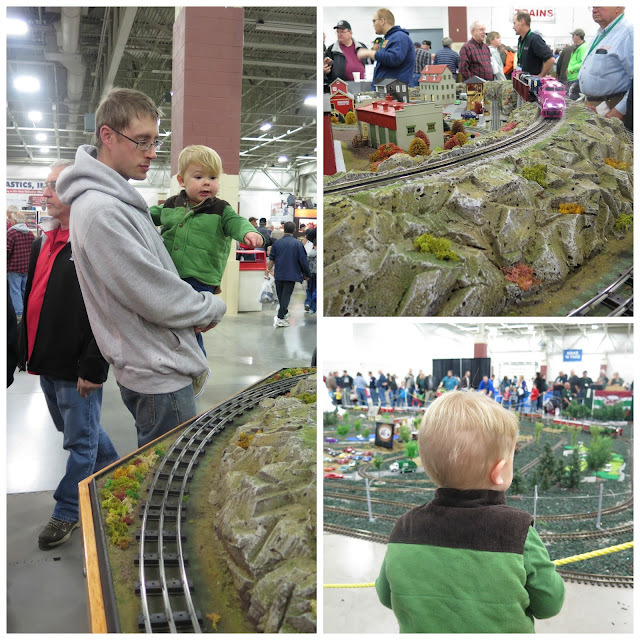 I was really nervous about him wanting to touch all of the model railroads and breaking something that costs as much as my car, but he seemed to totally understand that the model railroads were just for looking at. There were even a few models that included buttons he could push to do things like open doors and turn on lights. Pro tip: If you go next year, bring a step-stool for your kid to stand on. We saw so many other families with them, and it was such a good idea! Matt's arms would've been a lot less tired. The Kids' Activity Zone was way in the back of the Expo Center. It took us quite some time to make our way back there (and even longer to make out way out), but Callum definitely did not mind. He was too busy looking at all of the train layouts on the way there. The Kid's Zone was absolutely amazing! If we would've had an issue with Callum wanting to touch all the trains, we would've just beelined it right to the kids' area. There was a large train for kids to ride, a ton of train tables, a train-themed music show and story time, tracks where kids could race trains, and even a make 'n take table where kids could make their own model railroad building. 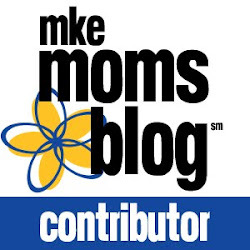 Even if your kids aren't train-obssesed, they'll still enjoy all of the different activities. I mean, who doesn't love a train ride? Around lunch time, Matt and I were just sitting by the train tables watching Callum play. He was totally zoned in and focused. He could've played for hours. Seriously. Matt and I were joking around about leaving and coming back later. He would've had no idea. Since it was getting close to nap time, we had to laugh at all the kids having meltdowns as their parents dragged them away from the train tables. Being tired and told "no" does not bode well for kids. After probably 45 minutes of playing, we had to pry Callum away from the tables. We were anticipating being those parents dragging their screaming kid away, but, thankfully, Callum left peacefully. In hindsight, I wish we would've stayed for a few more hours. We were planning on getting Callum home for his nap, but he was too wound up from all the trains to sleep. I know Callum could've easily spent the rest of the day there. He had the time of his life and hasn't stopped talking about Trainfest since we left. Next year, we will for sure be back. Thanks, Trainfest, for such a fun day!